In this video, I am working on the conversion of the chicken run into a chicken tractor. There are several reasons why I would like to do this. The chickens enjoy eating grass, bugs, and scratching through a fresh piece of yard now and then. Also, it will allow me to move the run to easily clean the area where they spend most of their time. I have been wanting to get this done for quite some time but have been busy with other things this summer. I have been looking for some old piece of junk on the side of the road somewhere that had wheels on it I could scavenge but have thus far been unsuccessful. I was able to pick up a small set of wheels at Home Depot that will fit the burden but not really the bill. I paid much more than I wanted to but they are some pretty sturdy looking wheels that should last a long time. 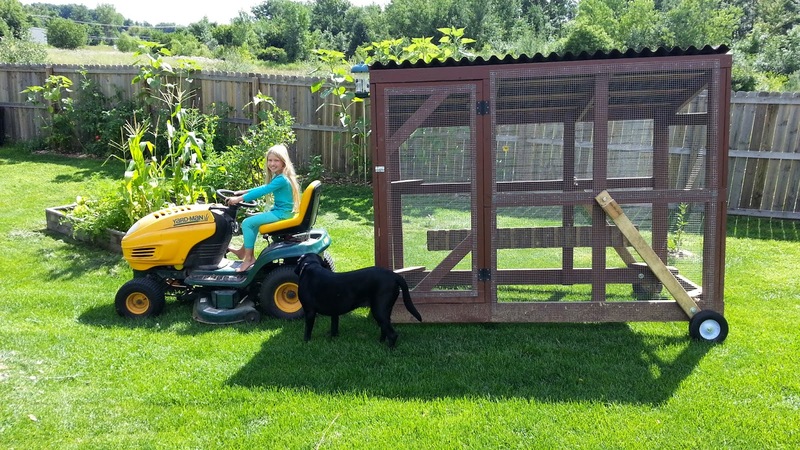 The main thing that I needed to tackle with this project was to build a hitch for my garden tractor and to build a system for the wheels so I could move them into position when I am ready to move the run around the yard. I still have more work to do here (build a nesting box, food scraps trough, roosts, and portable watering system. These will be done as soon as time permits and I will get another video that should cap this project off.